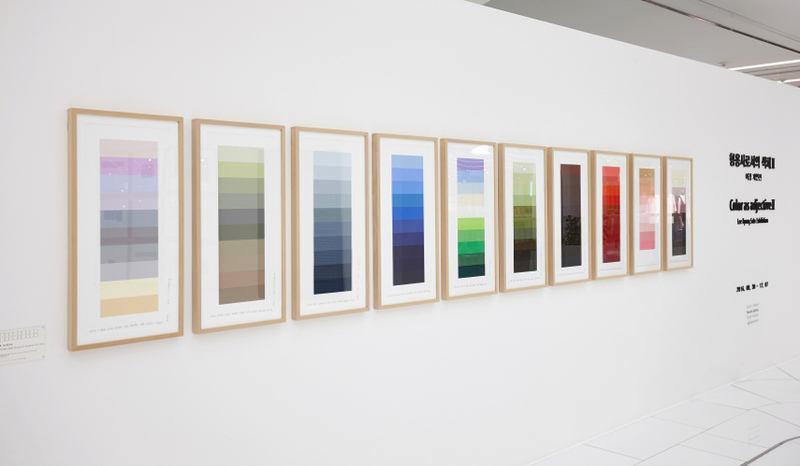 Kyong Lee is a Korean abstract artist whose work reconciles physical and emotional realities through a multi-disciplined exploration of color, material, process, and form. Lee received her Bachelor of Arts degree from Hongik University in Seoul, Korea, in 1991. She earned her Masters Degree from the University of Fine Arts in Braunschweig, Germany, in 2000. From 2001-2002, Lee was the Artist in Residence at the internationally well known SSamzie Space Studio Residence Program, Seoul, Korea. Lee is dedicated to precision in her processes. 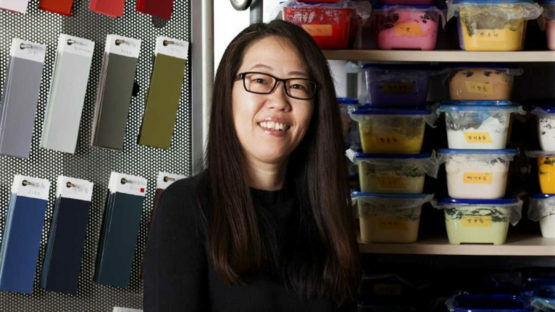 She meticulously plans her color choices and dedicates a fixed amount of time to the mixing of each color. To create her gradated color paintings, she first layers tape in strips across the surfaces. Each layer of paint is applied over a fixed time span and allowed to rest for another fixed amount of time. This is a process of building up, layering, accumulating. The gradations express relationships between colors and moments. Some of her paintings feature text. For these works, Lee embosses the word she has selected for the piece into the surface first then applies a monochromatic hue that correlates to, and collaborates with, the chosen word. The color occupies the word and fills all of the space around it. For Lee, process is poetic, and essential to the meaning of the work. Work by Kyong Lee has been exhibited extensively in solo and group exhibitions in Korea and Germany. 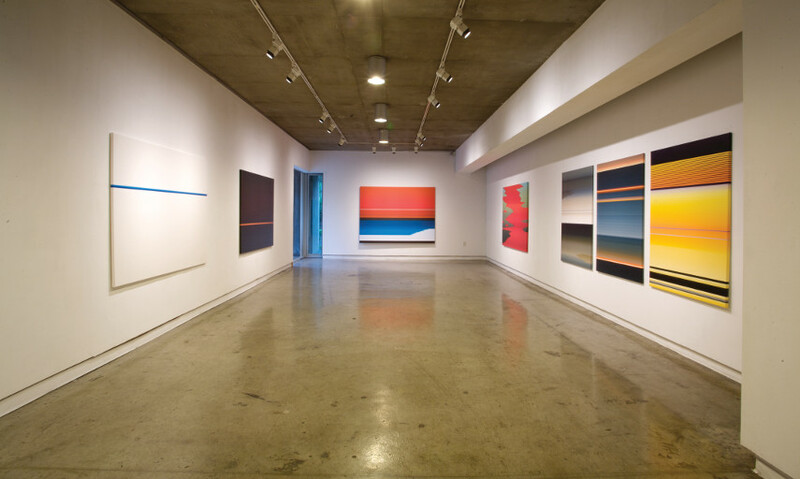 Recent solo exhibitions include Color as Adjective II in Chonan, South Korea, and Feeling, Language, and Color in Seoul. 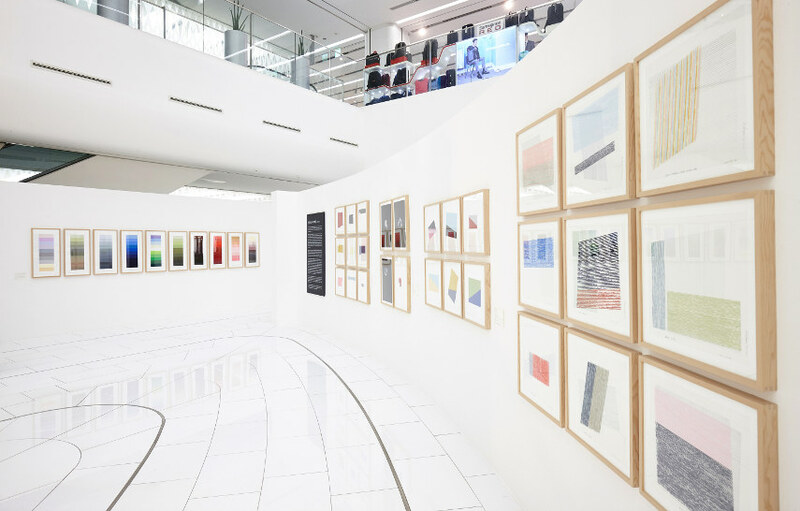 Work by Lee is in multiple public and institutional collections, including that of the Seoul Museum of Art, the Youngeun Museum of Contemporary Art, and the National Museum of Contemporary Art, Art Bank, Seoul, Korea. The artist is represented by IdeelArt. Kyong Lee lives and works in Seoul, Korea.